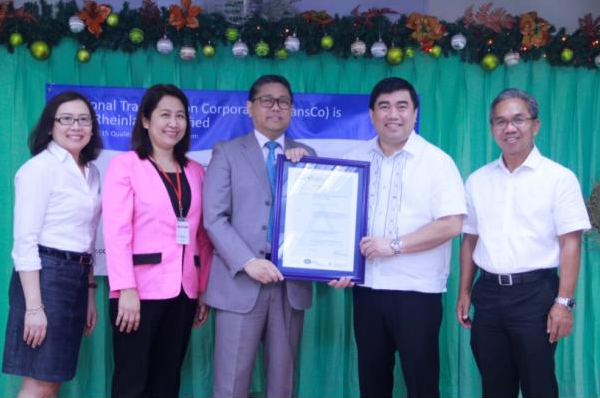 The National Transmission (TransCo) received the International Organization for Standardization (ISO) 9001:2015 Certification for its Quality Management System in awarding ceremonies held at the TransCo Head Office in Quezon City. The scope of the certification covers all TransCo’s business processes such as ensuring the compliance of the concessionaire with the concession agreement, settlement of right-of-way claims, divestment of sub-transmission assets, operation and maintenance of electrical systems of contracted economic zones, and administration of the Feed-in-Tariff Allowance Fund. In awarding ceremonies held at the TransCo Head Office in Quezon City, TransCo President and Chief Executive Officer, Atty. 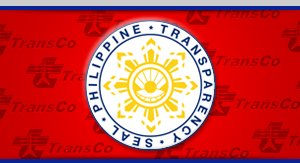 Melvin Matibag, said the ISO certification reconfirms TransCo’s adherence to international quality standards and proof of earnest efforts of TransCo’s men and women to improve its quality of service to its customers and interested parties. Atty. Matibag also commended the TransCo ISO Certification Team for successfully guiding the corporation through all the activities needed to prepare for the certification audits. In successfully hurdling the two surveillance audits, TransCo recorded zero non-conformity and registered several positive findings. Among the positive observations by TÜV Rheinland are the implementation of various projects including the Geographic Information System (GIS), outsourcing of parcellary surveys, memorandum of agreement with the Land Registration Authority (LRA), in-house development and implementation of TransCo’s Document Receiving and Dispatching System, Employee Competency Management System and Document Management System. TUV Rheinland also noted that TransCo received last October a plaque of appreciation from the DBM as a Valuable Partner Agency for being a top five government office in terms of compliance with Philgeps procurement requirements. TÜV also commended TransCo’s regular donation of used but internet-capable computers to public schools.